CHRIST IS RISEN! We trust that you and your family spent a spiritually profitable Pascha. We had a peaceful and quiet day here, after going to the “world” earlier in the week to receive Holy Communion and being there impressed by the deep spiritual bond which unites us supposed “desert- dwellers” with the simple Russian faithful, the sincere and striving converts, and with all the true Orthodox people today. We received from Fr. Neketas copies of two letter which he sent to you, but no letter from him as yet. The letters to you were very disappointing to us; he wrote the second one surely after receiving our detailed defense of you. We have always looked upon Frs. Neketas and Panteleimon and their views with maximum sympathy, as you well know. But we believe we must look on all sincere and striving Orthodox people with the same sympathy and join no “camp” or “clique.” And the fact remains, as we see it, that apart from printing a text without removing from it the somewhat scandalous Latin references (and we understand the temptation of having this text on hand after printing it doubtless at considerable expense), you have done nothing at all worthy of such a severe upbraiding (and that isn’t what he’s unbraiding you for! ), whose effect, whatever the intention, can only be to cause you great discouragement. Let those who wish accept every opinion of Fr. Panteleimon; that is their right and we do not dispute it. But to take these opinions (and both “evolution” and the “Shroud” are surely questions where opinion has a large place, concerning their importance, the approach to them, etc.) and beat someone over the head with them because he doesn’t agree — seems to us totally uncalled for. Concerning evolution: they regard it as unimportant and obviously haven’t thought much about it (and this is why Sarah was wrong to get so excited and accuse them of “heresy”; they obviously haven’t thought enough about it to form any kind of “heresy” on the subject; whatever views they have on evolution as a scientific “hypothesis” are doubtless quite vague and they don’t seem to think there’s any connection between that and anything theological). 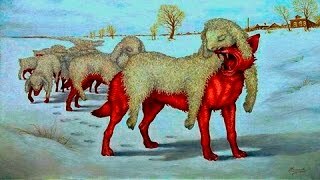 You, on the other hand, find that the whole question of evolution is quite deep and important and involves implications which are dangerous to purity of faith, even though no one in the Orthodox Church right now is explicitly trying to overthrow any specific dogma on the basis of evolution. We think you are right, and the question is very largely a philosophical one (with theological implications) that cannot be decided simply on the experience of being “40-years-0rthodox.” But even assuming that you have overemphasized the importance of evolution — even then we are simply shocked by Fr. Neketas’ violent response (all the way to the implied threat of “exposing” you in print for future transgressions! ), which seems all out of proportion to any possible fault of your article. Concerning the Shroud: obviously, here again is a matter very open to differing emphases, evaluation, etc. Fr. 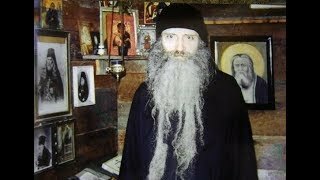 Neketas has raised a few questions which should really be answered in a thorough defense of the Shroud (nonetheless, they are still questions raised by common sense and logic, not by “revelation”); but he has by no means presented a case against it. Indeed, there are many more questions from the other side which I rather think he can’t answer. As you know, we are wary of relying too much on scientific evidence; nonetheless, the scientific evidence in the case of the Shroud is so striking that it cannot be avoided, and it is not sound simply to dismiss the Shroud with no better evidence against it than Fr. Neketas gives (which, like all negative evidence, is quite inconclusive) and without even examining the scientific evidence. According to such an approach, we should all cease thinking altogether and just follow whatever the “leader” says — the only problem being that whoever the “leader” might be, he is also human, with passions and prejudices very similar to the ones the rest of us have! But let me get to the point: Obviously, the violence of Fr. Neketas’ reaction means that something deeper than either “evolution” or the “Shroud” is involved, and we think we see what it is: authority. Obviously, for Fr. Neketas, Fr. Panteleimon is the authority, and we see now that he expects everyone else to agree. You were worried about this question last year, and we rather tried to talk you out of your fears, based on our own experience; for it is indeed true that Fr. Panteleimon has never tried to influence our views in any way that we could detect (save for a fairly mild protest after the Zeytoon article). 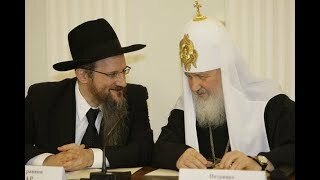 Of course, it is also true that our Brotherhood was established and we were printing The Orthodox Word before he joined the Russian Church Outside of Russia, and in that respect we are his seniors. Also, Fr. Herman knew him several years before even that, when he was still quite young and inexperienced (to say the least) in questions of “jurisdictions,” etc. But apparently his relation (or perhaps it is chiefly that of his followers? we don’t know) to the young convert movement today is somewhat different. Alas, it now becomes pretty clear why Fr. Neketas wanted to merge his Witness with Nikodemos some time back! As I recall, at that time we repeated our earlier advice to you to preserve your independence, and we can only continue to repeat it now. If you had succumbed to that temptation then, I’m afraid you would be so discouraged by this time that you would be ready to quit entirely. Fr. 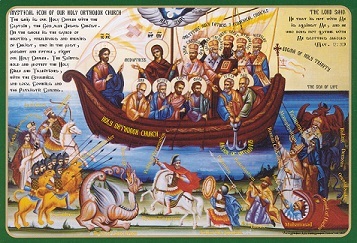 Neketas’ approach to Nikodemos as a part of the Orthodox mission of the printed word is wrong, and we say this with great pain, because we both love Fr. 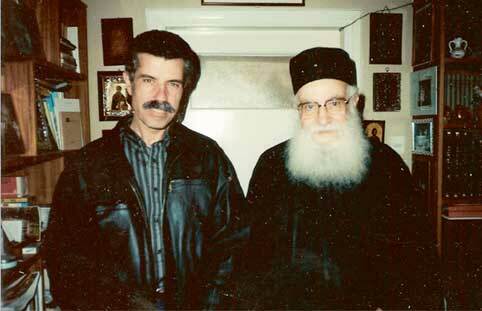 Neketas and Fr. Panteleimon very dearly and respect their labors for Orthodoxy, which otherwise seem to us rather sound, even though none of us is perfect. We do not need an infallible “authority” on questions such as the “Shroud” and “evolution,” but rather much more love and mutual understanding; there is too much mind here and too little heart. 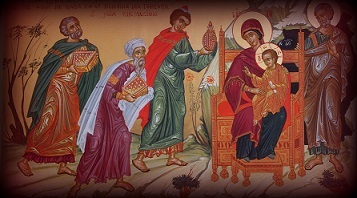 We should not have to fight or threaten over such questions, but precisely “speak the truth in love,” if indeed God has enabled us to see the truth more clearly than our fellow Orthodox on some point or other. We would gladly listen with open mind to any genuine arguments against the Shroud; but there is no point just sitting and being beaten over the head with someone else’s opinions (and probably emotions) about it. The “anti-Latinism” of our Greeks is simply overdone. It seems that just about everyone except themselves is under “Latin influence,” almost the whole of Russian and Greek theology and spirituality for the last several centuries is rotten — all this is too much. Of course there are Latin influences visible here and there — but unless the Orthodox tradition itself has been preserved intact up to now, then there is no Orthodoxy left, and Protestantism triumphs. Fr. 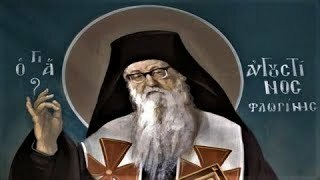 Panteleimon does not speak with the theological authority of some other people in our Church, and he simply cannot be made the universal standard. Fr. Neketas is of course right on some of his points, such as the danger of getting involved with 17th-century Western mystics — but we wonder if he isn’t quoting your words back to you out of context or at second or third hand? At any rate, what’s the point of trying to build up a case against you as an unregerate Latin?! We all have our faults, theological and otherwise (the fathers in Boston also! ); therefore, why not rather try to inspire and guide in the right direction by positive means and examples? Alas, his sympathy for you has been overcome by his disappointment that you do not bow down to the authority of Fr. Panteleimon; that seems to be the whole story! We are unimpressed with the “40 years Orthodox” argument which he also uses against you — there are 40 and even 80-year Orthodox who disagree with him on a number of issues! This whole outbreak makes us very sad, but we are still rather glad that it came out now rather than later. Fr. Neketas will probably not try to “help” you any more, now that you have declared your independence by writing on “forbidden subjects” (say, isn’t the Index a Latin institution!? ), but you will have to keep him in mind as one of the “occupational hazards” of being an editor in the Church Abroad. By no means should any of us “fight” him and the fathers in Boston, nor form a “camp” against them. Let us all keep up our own independent labors, relying on the counsel of others in cases of doubt, and trusting in God’s grace and the prayers of His God-pleasers to help us. 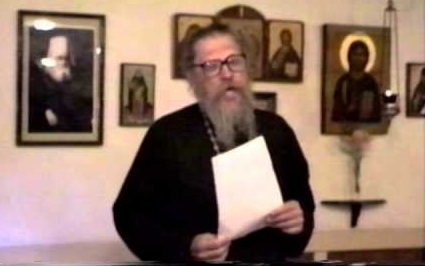 How well Vladika John knew how to inspire and guide without crushing anyone’s spirit or dictating his personal opinions to anyone (and yet he was more a theologian that any 100 of the fathers in Boston!). Let us pray for everyone and continue our path. About Fr. Ischie: apparently the Greeks think he is part of a “conspiracy” against them. We have no idea about that, but would only caution you not to join “sides” with him if he wants to start a fight. We have the impression also that he is a lonely man, but probably for that very reason he has a tendency to get involved in controversies which only detract from the larger mission from which we should not be distracted. We will be interested to hear what response you have gotten on “evolution” and the “Shroud.” We told Fr. 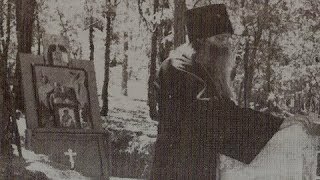 Neketas (before the Shroud article) that for us the cause of a free Orthodox missionary movement is so dear that we are not afraid of the “mistakes” that you might make. The “Shroud” article with its Latinisms was a mistake in that form, but I really doubt that it will do any harm ultimately to the cause of defending the Shroud, whose acceptance or rejection within Orthodoxy must be decided, ultimately, in a free and objective manner. Whether or not the Latins venerate it, and no matter with what kind of piety they have surrounded it — makes no difference whatever to us, one way or the other. Your letter to Andrew Bond, by the way, seems calm and reasonable enough. You are right not to demand “equal time” or start a fight over it. Let us keep our attention on the important issues, and all these petty mistakes and misunderstandings will die out by themselves. If I can somehow remember where I put it, I will try to get out the Concern article in today’s mail, and also the reprint of your article on page 1 of the Serbian newspaper, which perhaps you’ve already seen. These Serbs are very well-meaning, anti-Communist, but alas, pretty far gone down the road of worldliness (roast pig during lent, dances with the bishop present on Saturday nights, etc). 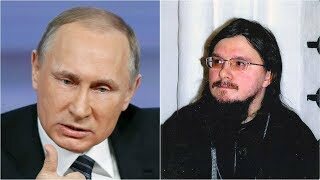 We know several of their priests, but Vladika John told us quite definitely that they are uncanonical and not priests at all. You can keep the newspaper, but we’d like the Concern back after you’ve read or copied it.